Traditional and Western fashion on the streets of Yokohama, Kanagawa Prefecture, Japan. 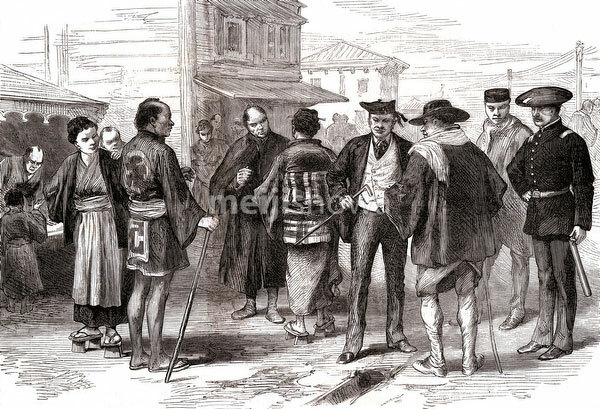 Many Japanese men took to Western style fashion after the country was opened in 1854 (Kaei 7). Published in the French illustrated weekly L’Univers illustré in 1875 (Meiji 8).